“The glyphosate toxicity studies you’re not allowed to see,” gmwatch.org, July 2, 2014. Glyphosate is the main ingredient in Roundup, Monsanto’s product, which is used in hurricane-like proportions on GMO crops. Robinson doesn’t baldly assert these secret studies prove the poisonous nature of Roundup, but her piece certainly leads to that conclusion. In China, this year, the Ministry of Agriculture admitted that legalizing the import of Roundup was based on a single toxicology test done in St. Louis. Why not? Because the study proved Roundup was safe? Are you kidding? In Europe, two studies on Roundup toxicity are also hidden in the closet. In other words, the studies are owned by a corporation(s). No problem. Nothing is riding on the results of those studies except the health of the population of Europe. Germany’s summary report invented various “redefinitions” of birth defects that downplayed their significance, and Roundup was approved for sale. And again, the actual studies are being held secret. Let’s see. Studies on the toxicity of Roundup are hidden by Monsanto and government regulators. The studies are called “corporate property.” That’s the justification. Here’s the bottom line. If corporate science is used to justify the safety of corporate products, then that science must be made public in every detail, so it can be examined by people who don’t owe their souls to the corporations. Anyone who stands in the way of this happening is a rank criminal. But in this respect, we live in a lawless society. Government protects the corporations and itself. 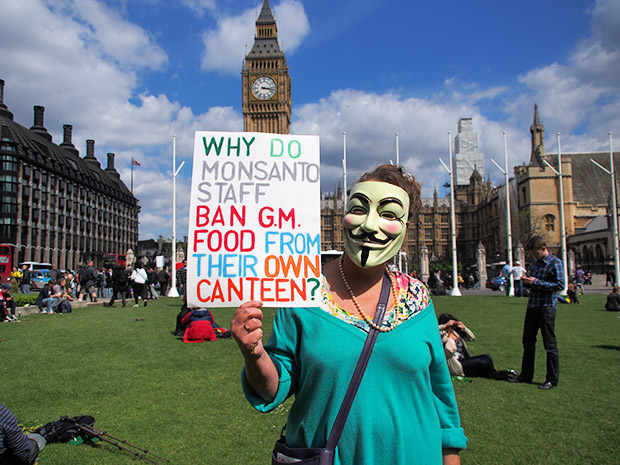 The US Justice Department wouldn’t arrest and prosecute Monsanto executives who hide toxicity data in a million years. But poisoning Americans? No problem. 1. EPA Registration Numbers: 524-421, 524-475, and 524-537. Docket ID Number: EPA-HQ-OPP-2012-0132. Applicant: Monsanto Company, 1300 I Street NW., Suite 450 East, Washington, DC 20005. Active ingredient: Glyphosate. Product Type: Herbicide. Proposed Uses: Add wiper applicator use over the top to carrot and sweet potato, add preharvest use to oilseed crop group 20, add the use Teff (forage and hay), and conversion of the following old crop groups to the following new crop groups: Vegetable, bulb, group 3 to vegetable, bulb, group 3-07; vegetable, fruiting, group 8 to vegetable, fruiting, group 8-10; fruit, citrus, group 10 to fruit, citrus, group 10-10; fruit, pome, group 11 to fruit, pome, group 11-10; and berry group 13 to berry and small fruit, group 13-07. 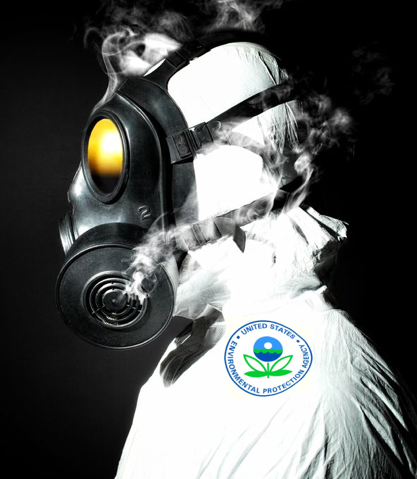 Contact: Erik Kraft, (703) 308-9358, email address: kraft.erik@epa.gov. Notice above, the proposal includes “Add wiper applicator use over the top to carrot and sweet potato,” revealing that one reason why Monsanto wants tolerances on glyphosate raised is because this chemical will be applied directly not just to Roundup Ready plants but to non-GMO crops as well, virtually guaranteeing that unless you eat 100% USDA organic concentrations of grave concern will end up in your food and body. Under the new regulation, forage and hay teff can contain up to 100 ppm (100,000 ppb) glyphosate; oilseed crops can contain up to 40 ppm (40,000 ppb) glyphosate, and root crops such as potatoes and beets can contain 6000 ppb glyphosate. Fruits can have concentrations from 200 ppb to 500 ppb glyphosate. These numbers are magnitudes higher than the levels some scientists believe are carcinogenic. According to this ruthless logic, since the EPA designates itself a higher authority than the independent scientific evidence clearly signaling glyphosate’s carcinogenicity (view the toxicological data yourself here), it requires no safety testing. Let the exposed populations eat Roundup Ready cake and fester in an epidemic of cancers, as it turns a self-blinded eye to the problem. The EPA has just made such a mockery of its own mission statement, which is “to protect human health and the environment,” that one wonders why they have not already declared themselves a wholly owned subsidiary of Monsanto. The obvious reason why Monsanto and its ‘EPA cheerleading division’ successfully raised the tolerances of glyphosate in your food, is because the contamination is getting so bad they had no other choice. Either limits are raised, or Monsanto breaks the law (by contaminating our food and poisoning us beyond the “acceptable level of harm” already determined by the EPA) and the EPA is shown to be completely impotent to enforce anything resembling its mission statement. But despite Monsanto’s latest apparent success, a growing grassroots movement comprised of millions of concerned citizens is defiantly expressing their own form of “glyphosate-resistance,” armed with a growing body of published toxicological data linking the glyphosate herbicide to over 30 health problems. This movement is mirrored poetically by the “super weeds” emerging throughout the Roundup Ready monocultured farmland of the world. 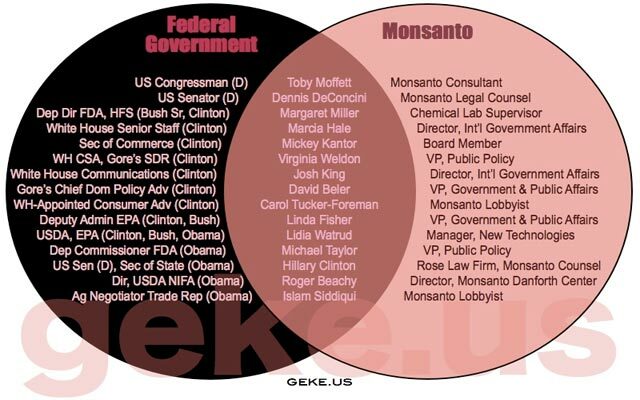 In both cases, the center of real power is shifting away from Monsanto back to the people who are realizing that unless they retake back control over their food, they will be coerced and poisoned into a form of biological slavery the likes of which this world has never seen before, and if it manifests fully, will likely never recover from.